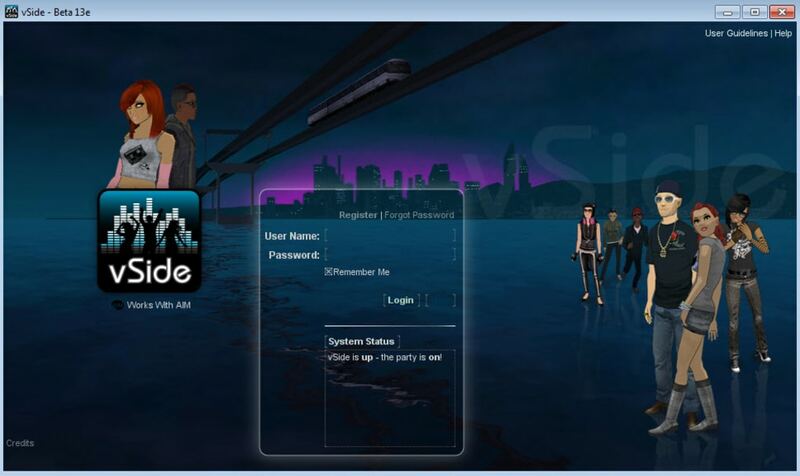 vSide is a desktop chat app for PCs that lets you chat in 3D, dance, discover music and more. Do you like to be the life of the party? Is it fun for you to meet new people, dance, and listen to great music? 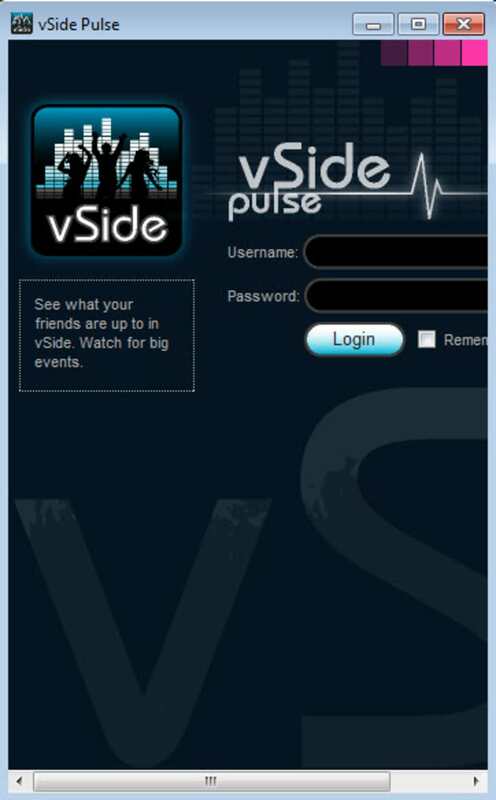 vSide might just be right up your alley! 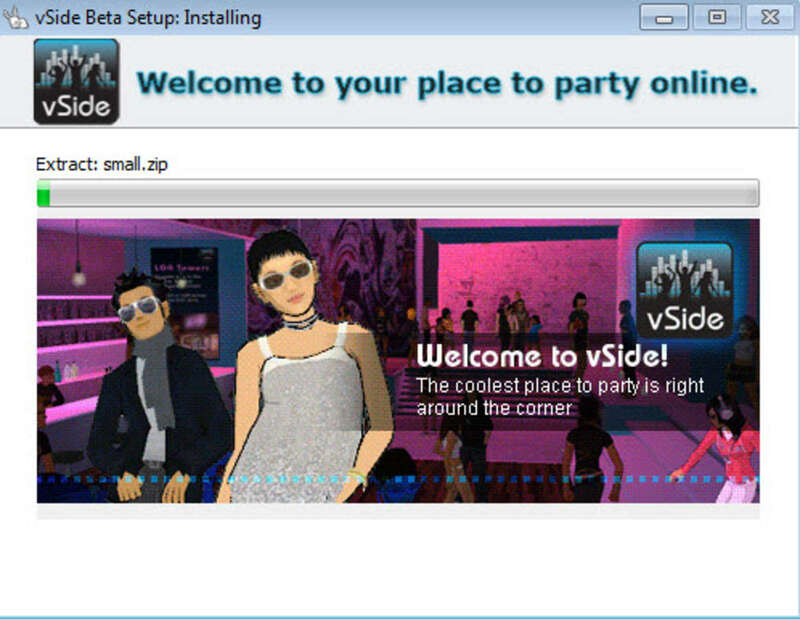 vSide offers a three dimensional chat-style environment that's quite similar to Second Life and IMVU. 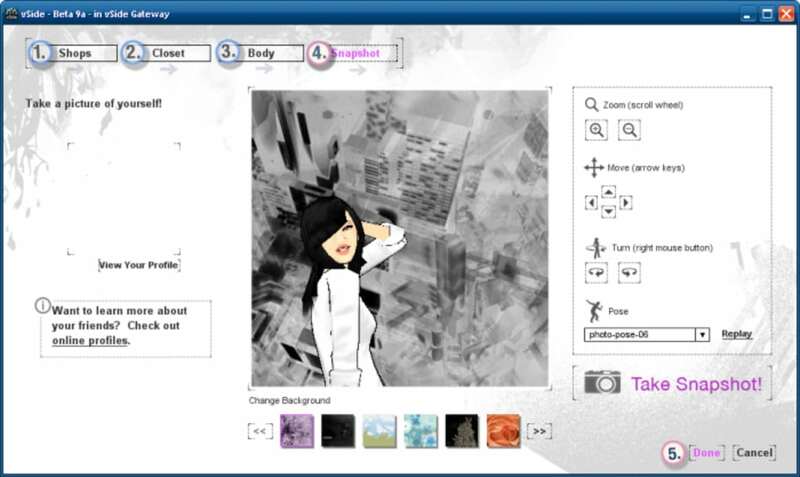 Within this environment, you can create a custom avatar and personalize certain features such as hair, clothing, and skin tone. 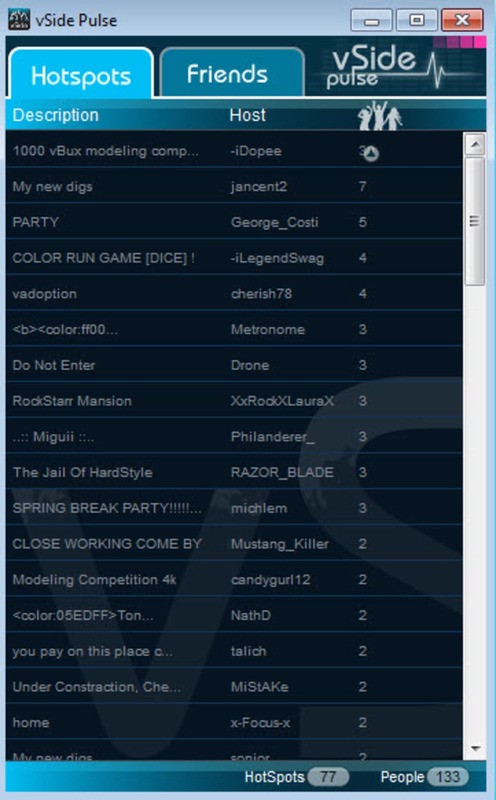 You can also personalize your 3D apartment space. The musical environment in vSide is second to none. 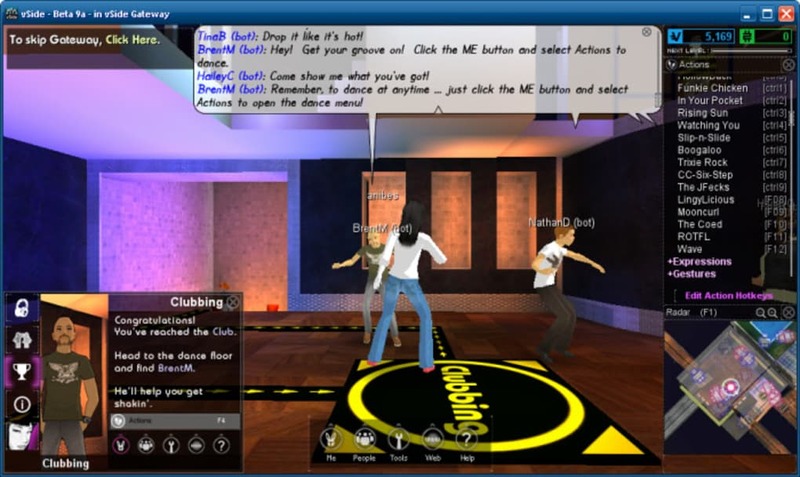 Move your avatar through virtual cities with interesting names like NewVenezia. 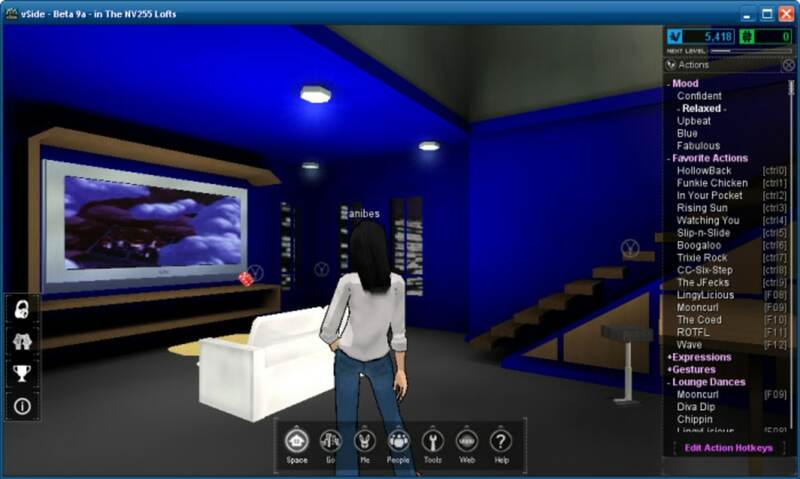 Within your virtual environment, you can make changes to your living space and even read about events happening in your new cybertown in magazines. 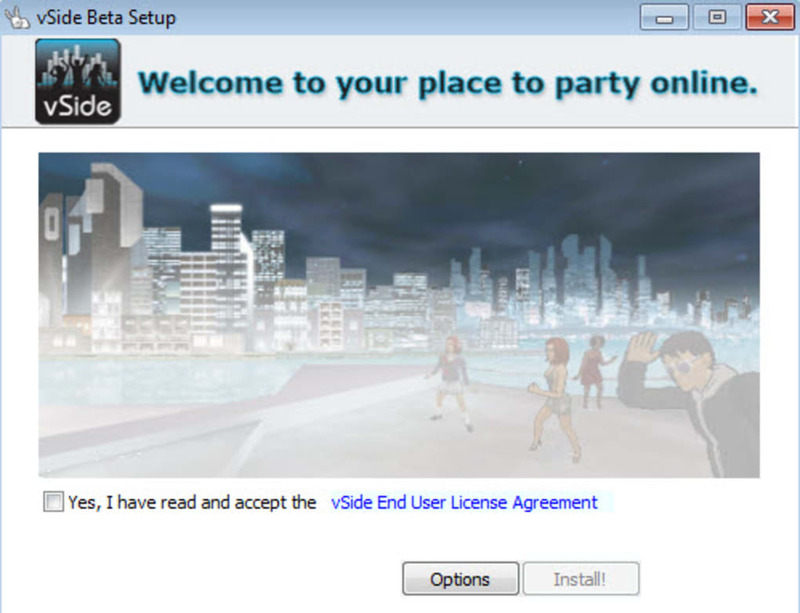 Pick a holiday and celebrate in style with other vSide users, dancing, listening to music, and sharing YouTube videos as well. 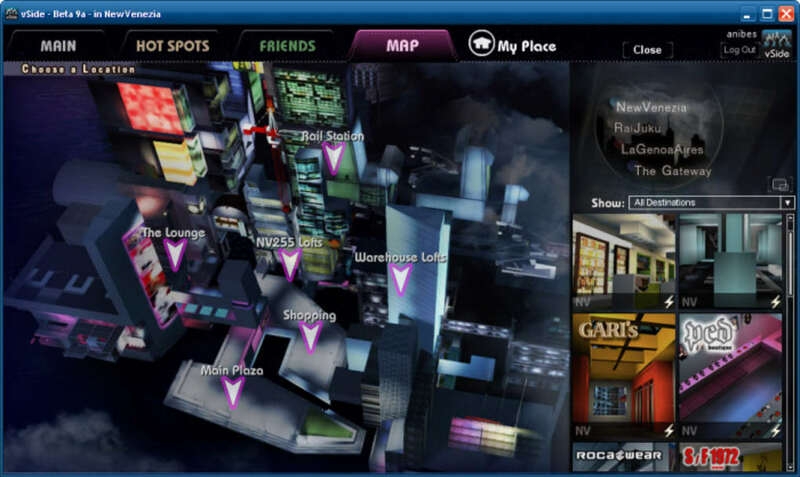 You can also accumulate points with which to make purchases in virtual stores in town. 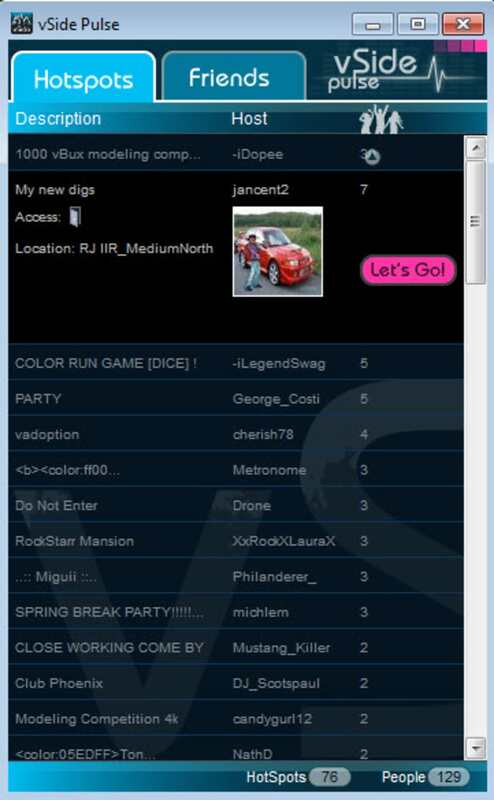 Creating a vSide profile and avatar requires registration through the vSide website. This process is relatively painless, allowing you to get in on the fun in no time at all. 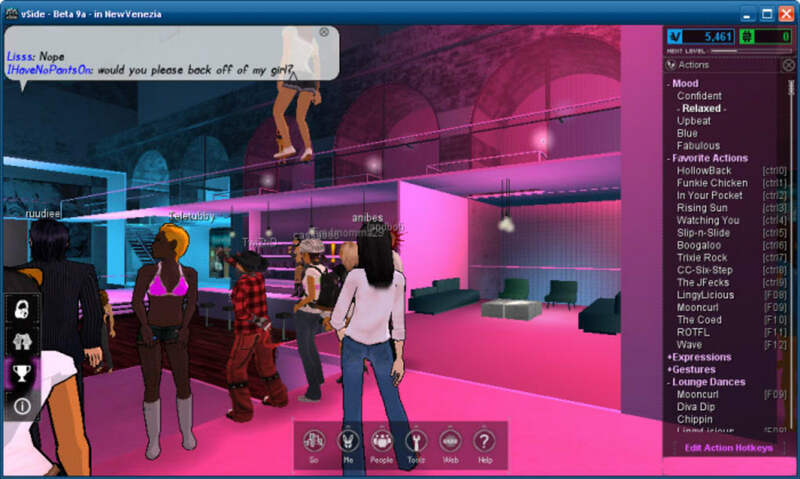 vSide is a fun way to meet other people in a virtual environment, as well as discover new music and bands.